The following information has been provided to give an indication of the pricing of Data Recovery Services by A-ONE IT Ltd, 2019. The following information has been provided to give an indication of the pricing of Data Recovery Services by A-ONE IT Ltd, 2018. Prices and costs are only estimates and will be based on examination of the drive in our workshop. However, it gives customers an indication of our reasonable priced Data Recovery Services. Have you have tried everything you can think of and even your local I.T. company cannot help, we may be able help without the expensive price tag. (PC World KNOWHOW Specialist Data Recovery Lab £650 November 2018). While other competing firms may not understand the significance of certain items like photographs or personal records, we know that these items are personal and you don’t want other people to see them. That’s why we take privacy seriously at A-ONE IT. Furthermore, we take numerous steps to ensure that everything on your hard disk remains private and confidential. You can count on A-ONE IT to use all of the latest equipment and newest software so that we can handle all kinds of data related needs. 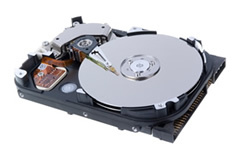 When it comes to data recovery UK, you can depend on A-ONE IT. With technical support available five days a week, you’ll have the option to talk to an experienced technician if a problem arises. When it comes to hard disk recovery, data backup, and data safety and protection, you can depend on the experts at A-ONE IT. We’ll be happy to make it easy for you to recover lost files and get your life back on track smoothly. We provide superior service in every sense of the word. From workmanship, to equipment to technical support and service, we are the first choice when it comes to data recovery in the UK. It is a myth that most drives need to be de-assembled or examined in a clean room. Only about 15% of drives received by A-ONE IT fall into this classification. However, these "15% of drives" can have mechanical damage and would require repairing to enable recovery of the data. The disk emits knocking or clicking noises "click of death". This needs careful investigation as a faulty PCB may be culprit or usually bad heads within the disk Around 15% of disks fall into this category and many of these could require a donor head swap and/or PCB donor.